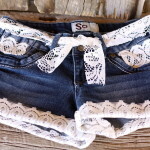 I’ve seen printed jeans at retail store so I decided to restyle some jeans from Goodwill, for my daughter, at a fraction of the cost. 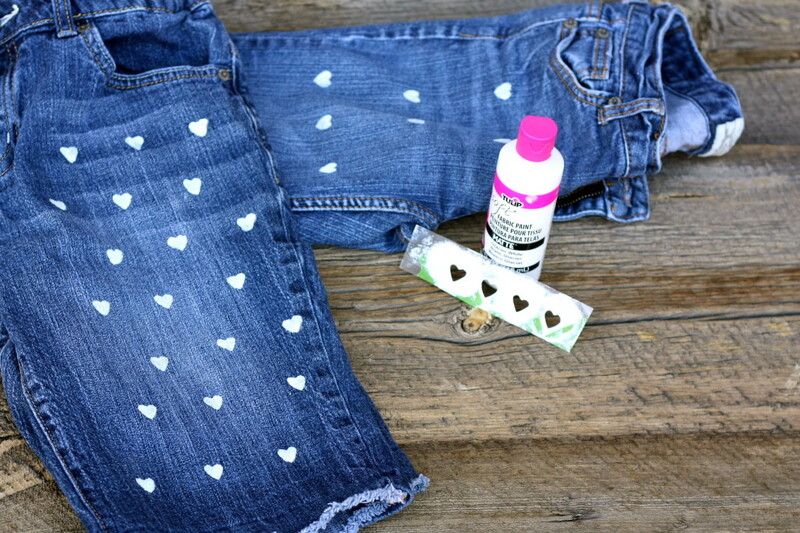 Using some white fabric paint from the craft store and a mini heart stencil I already had on hand, I embellished her jeans with cute hearts throughout. After the paint dried, I put them in the dryer for about 10 minutes just to set paint for good. They have washed up nicely many times. 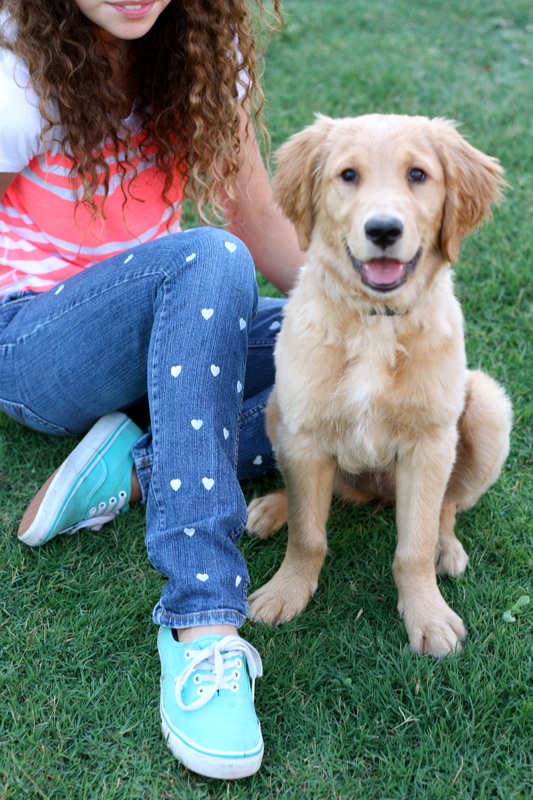 Here’s my girl, posing with her Golden, Stevie, and her new heart patterned jeans!